This simple and oh, so healthy treat time recipe for Dark Chocolate and Citrus Macadamia Balls is from Mark’s Daily Apple and was the inspiration for creating this new Bliss Ball section on the blog. 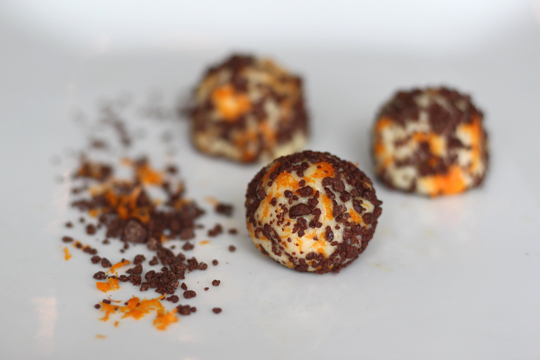 Mark’s recipe calls for just three ingredients, macadamia nuts, orange zest and quality chocolate. Then whizz, mix, roll, chill and you’re done. Simple, tasty, nutritious. What more could you ask for in a primarily inspired snack?